Lane, Hammoon - 4 Bed - Guide Price £360,000 House semi detached [Freehold ] NEW INSTRUCTION. 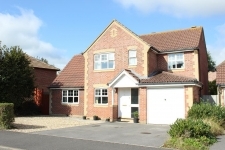 Dorset Property are delighted to offer for sale this spacious four bedroom detached house situated in a sought after local village. Entrance hall leading to a spacious living room with an open fire. 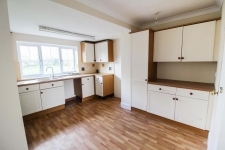 A large fully fitted kitchen with ample room for a table. Utility room with rear access to the garden. Dining room with a second open fire. First floor leading to three double bedrooms. A fourth single bedroom which could be used as a study or office. Family bathroom and separate shower room. Separate annexe with kitchenette, shower room and double bedroom. Single garage. Fully enclosed garden with views across farmland. Oil central heating and double glazed throughout. Recently redecorated throughout and new carpets due to be fitted. 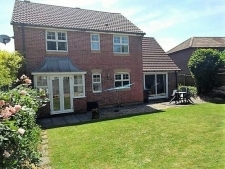 EPC Rating: E.
Imber Road, Shaftesbury - 4 Bed - Guide Price £349,950 House Detached [Freehold ] NEW INSTRUCTION: Dorset Property are delighted to offer for sale this well presented FOUR/FIVE Bedroom Detached home. The property has been extended to offer a superb FAMILY/DINING ROOM overlooking the rear garden. Outside the property benefits from a private rear garden, integral garage, ample ORP. 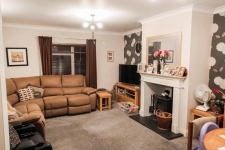 This lovely family home is within walking distance of local schools and shops. NO FORWARD CHAIN. Accommodation comprises of: Entrance Hallway, Cloakroom, Study/Bedroom Five, Lounge, Kitchen/Breakfast Room, Family Room, Four Bedrooms, En-Suite, Family Bathroom. Kitchen - 16'4'' x 7'8"
Living room - 10'1'' x 15'5"
Family room - 20'3" x 13'1"
Study - 10'9" x 7'9"
Bedroom 1 - 13'0" x 10'11"
Bedroom 2 - 11'5" x 8'8"
Bedroom 3 - 11'4" x 8'0"
Bedroom 4 - 9'3" x 8'4"
Christys Lane, Shaftesbury - 3 Bed £230,000 House semi detached [Freehold ] NEW INSTRUCTION. 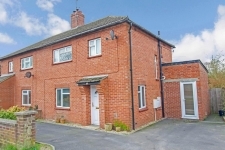 Dorset Property are pleased to present this SPACIOUS THREE BEDROOM semi detached house situated CLOSE TO THE TOWN CENTRE and local amenities. 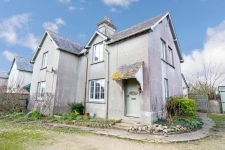 The property has undergone a FULL REFURBISHMENT with the current owners including a FULLY FITTED KITCHEN and updated living room to include a MODERN WOODBURNER. The property compromises of hallway with radiator, side aspect window and understairs cupboard. This leads to a fully fitted kitchen with a BUILT IN DOUBLE OVEN, gas hob, intergrated fridge and separate freezer. Space for a washing machine and tumble dryer. SPACIOUS LIVING ROOM with woodburner and doors leading to a conservatory with double doors leading to the garden. Upstairs compromises of a LARGE MASTER BEDROOM with front aspect window, second bedroom with rear aspect window and third single bedroom with front aspect window. Fully enclosed TWENTY FOOT GARDEN with established shrubs including a blackberry bush and magnolia. Workshop and shed. Side access through a small gate. Driveway parking for two cars. The property is tastefully decorated in neutral colours throughout. Double glazing throughout.